An alternative smartphone for daily life that you can use while working out or maybe going out for the night. 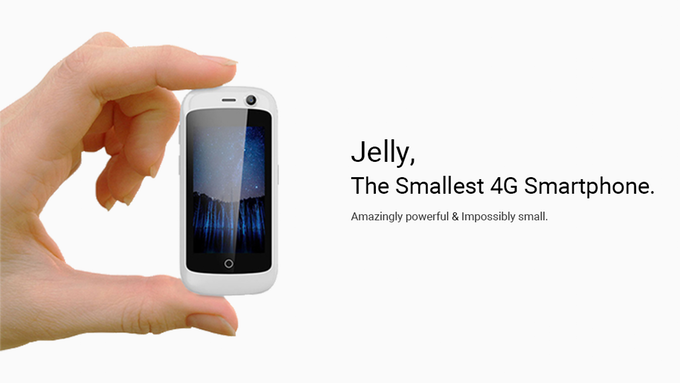 It is a mini-sized phone with full features of Android 7.0 Nougat and also the first of its kind supporting the ultra-fast 4G network. It is the ultimate answer to any situation where using a heavy, expensive primary phone is inconvenient. 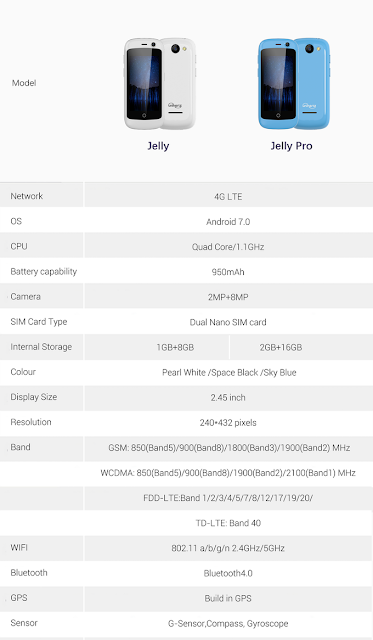 Jelly comes in three different color and two variants. One with 1 GB + 8GB memory and other 2 GB + 8GB. Both have dual sim and dual camera. 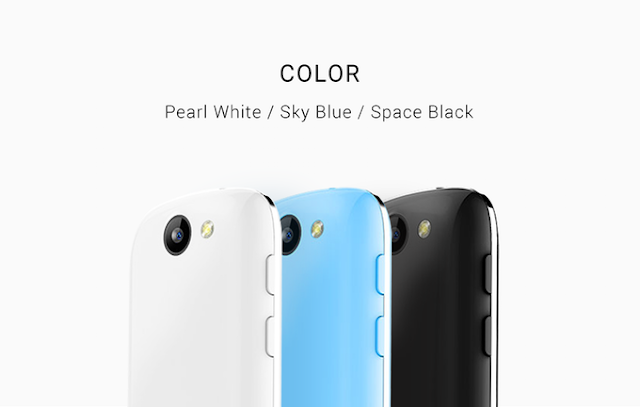 It also support Bluetooth, Wifi, GPS etc. It has 3 day battery backup and 7 day standby. It'll available to buy from October 2017.